The Apple Play roadmap continues to play out with Apple adding yet another country to the list of supported territories that accept Apple’s payment platform as a method of paying for goods and services. Russia has become latest region to adopt Apple Pay as a method of contactless payment, meaning that Apple now has ten major territories on board, all of which have various major financial institutions supporting Apple Pay as a mobile payment service. 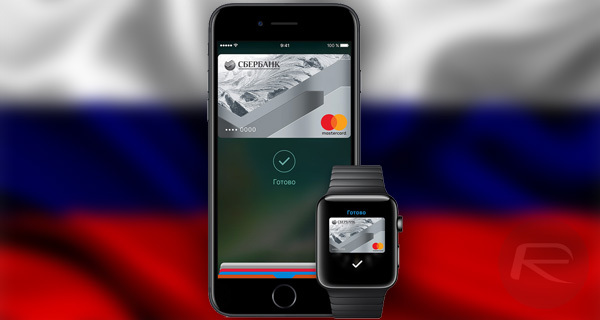 The availability of Apple Pay in Russia has been announced via Apple’s local Russian web portal, with the company taking the opportunity to let the Russian populous know that Apple Pay will be offered via MasterCard cards issued by Moscow-based Sberbank. Sberbank has made it abundantly clear that customers of the bank are able to set up Apple Pay with minimal fuss and intrusion via the existing Sberbank Online mobile app, which is an app that should breed familiarity with any existing customer of the bank. Setting up that way immediately benefits consumers by ensuring that Apple Pay will then be available as a payment method while all other benefits of using Sberbank-issued credit and debit cards will still be honored. Apple Pay in Russia may initially only be available for those who allow Sberbank to handle their banking needs, but the rollout in other territories has already shown us that additional banks and financial institutions will come onboard as soon as Apple can negotiate rates and deals that are agreeable to both parties. It’s generally a case of when and not if once the first bank has come onboard. 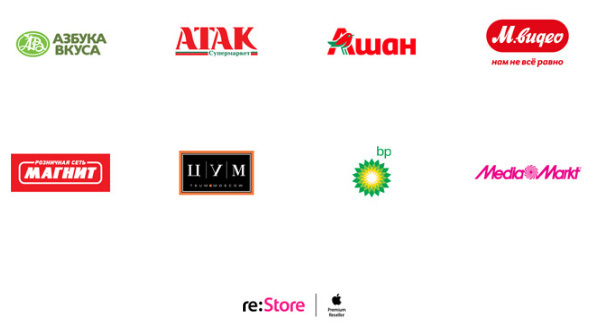 Having Sberbank as a supporting financial partner is one thing, but the question on the lips of those living in Russia will undoubtedly be “where can I actually use Apple Pay?” Retailers like ATAK, Magnit, Auchan, M.Video, TsUM and Media Markt, Azbuka Vkusa, bp, will all accept payments via Apple Pay. Outlets like Burger King and Eldorado are also expected to start accepting contactless payments via Apple Pay sooner rather than later in Russia. From an online perspective, it remains to be seen when Russian companies will actually start accepting Apple Pay as a method of paying for goods and services via the web for those consumers running macOS Sierra. With this rollout, Russia joins the United States, United Kingdom, China, Canada, Australia, Switzerland, Hong Kong, France, and Singapore as countries that now have Apple Pay agreements in place with one or many banks or financial institutions.